I'll be honest, you guys. I bought $11 jeans at Superstore this week. I confess. Ahhhh. I feel better. Confession IS good for the soul. I can't even go in there. When vegetables and jeans are the same price, what do you THINK I'm going to choose? 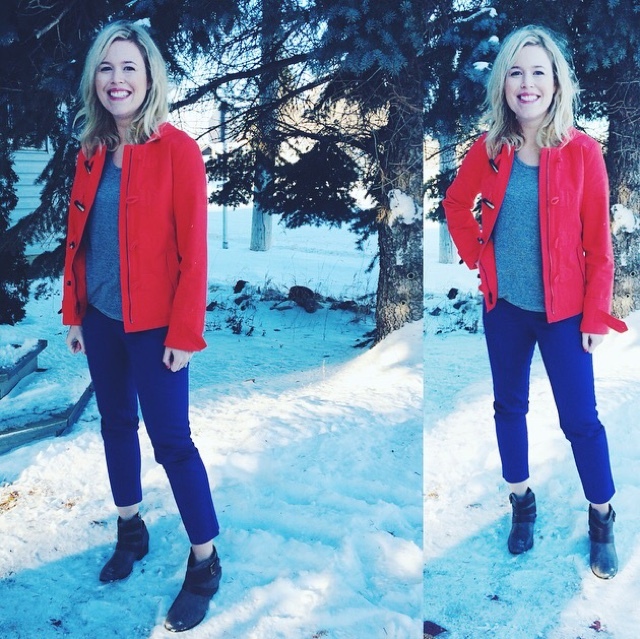 This week I added some colour to inspire spring to arrive and it's been balmy for the North Pole, so you're welcome, Saskatchewan! I was also working on very little sleep with a sick little babe who's doing a lot better after back-to-back viruses. 1. I am obsessed with military green. Speaking of, check out these pairings from Lisa at Daily Style Finds. I may be obsessed with the floral and green combo. Yum. 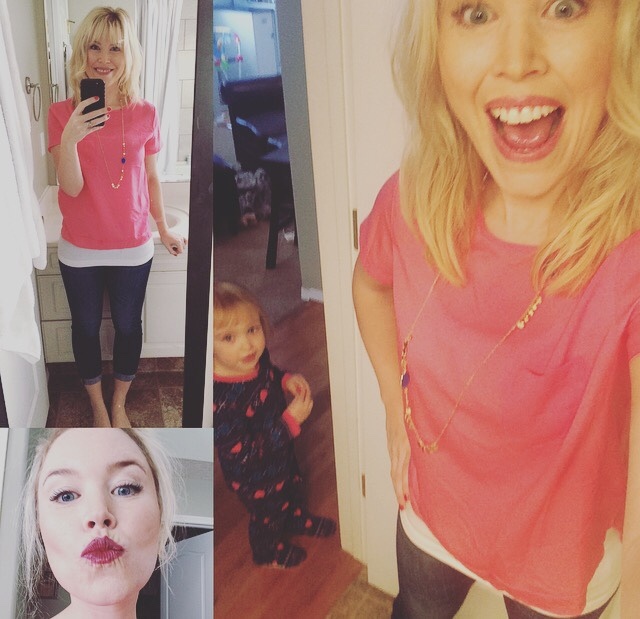 Ooh, also coral pink and denim blue... Maybe I am just obsessed with Lisa's blog. That might be. I can't afford one thing in that link, but a girl can dream... and then channel the inspiration into existing items! 2. Even though I believe I credited Deena for inspiring me to wear all my shoes, I don't know if I credited Lana for inspiring me to wear all the clothes. 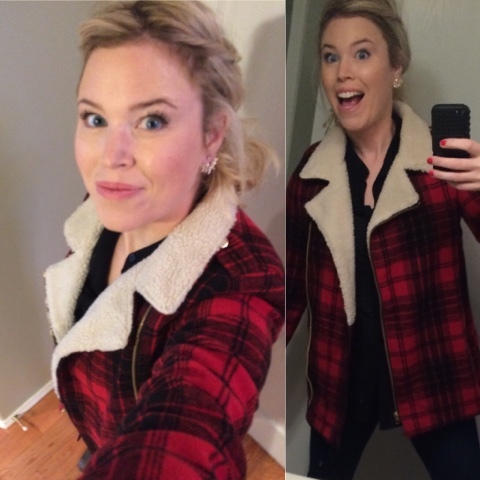 Lana's been doing a 'Shop My Closet' series and really inspired me to give this a try. Check her out here! 3. 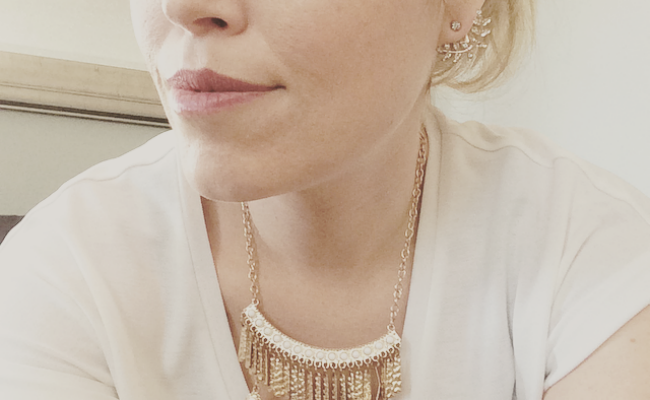 I love blingy earrings. These two pairs here and here are my current faves since Gabrielle hasn't yet managed to rip them from my earlobes (much to her dismay) and the price is right. That is all. I hope you reveled in the depth of my insight. 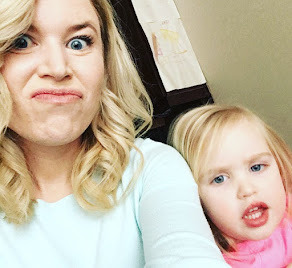 Before we get to this week's outfits, I want to remind you that I am a real mom in real life and these are definitely not posed or professional photos and that's okay! If you can't have a little fun with your clothes, what's the point? That was my disclaimer for how random my photos turned out this week. Hope you've got a great imagination. Starting off strong with some high quality photography. Imagine black suede booties, dark wash skinny jeans and a black crepe button-up blouse. What? You're supposed to be able to SEE the outfit? Ridiculous. We've got a photobomber, a mirror that needs cleaning and some new lipstick (shout out to my girl Mel, who has the best makeup)... all in very different lighting. You can just imagine the taupe booties that I wore when we all managed to get dressed and actually left the house. Day of rest with the littles. Poor little Gabs. Think flannel. So much flannel. Eyes so tired. Could have used a necklace. OH YEAH, Gabrielle DESTROYED it. Hmmph. There are those jeans I confessed about. $10.94. Sorry world. When you haven't washed your hair in days and can't get your contacts into your tired eyes, add lipstick and some bling to your t-shirt and jeans. Voila! Distraction! So tired. So puffy. Oh, you thought we were having a playdate? Take my picture. All the colours, one photo. Also, I am trying SO HARD to make believe it's spring. Can you see my teeth chattering? Brrr. Breaking news: I washed my hair. Some days, you just have to wear the harem comfy pants, the zebra print sneakers and the awesome teething necklace. Deal with it. Which brings us to today and something really fun! Even WITH Pinterest, I have been feeling a little blah with my wardrobe (hence the JEAN BUYING fiasco) so I am pumped to be participating in the series, 'Style Perspectives' on The Blended Blog. 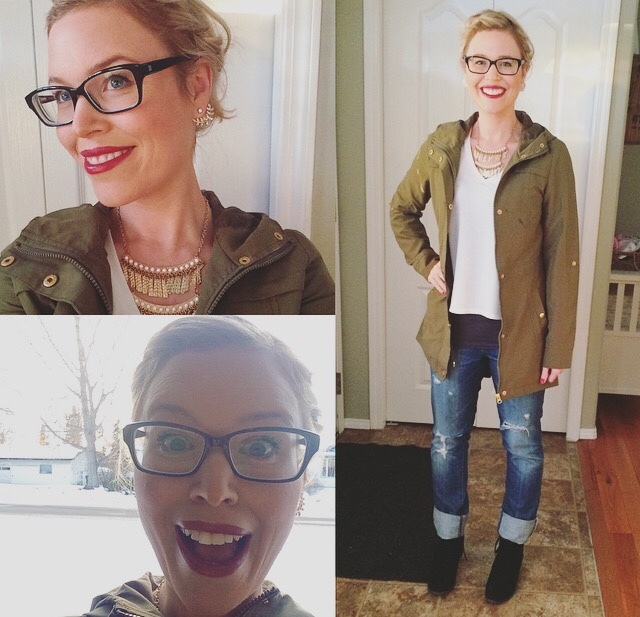 Every Wednesday, a different styling lady is going to post a look. Hey, they're all listed below! 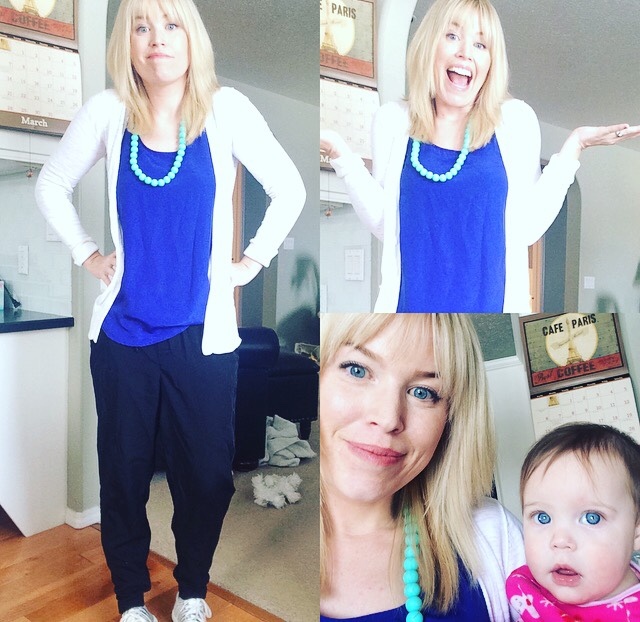 I'm challenging YOU to try the look out in your own way from your own closet every Wednesday! 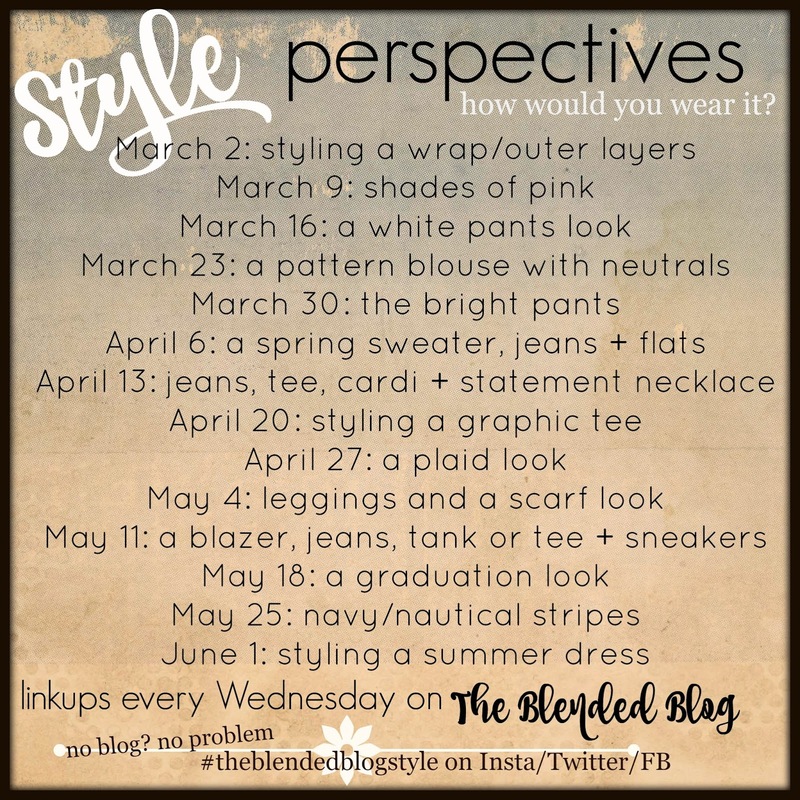 If you're on Twitter or Instagram, make sure you take a selfie and tag it with #theblendedblogstyle to join in and see how other ladies are wearing the look. 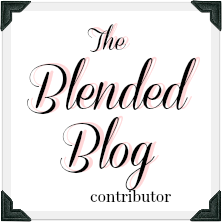 If you blog, post about your look and link up to The Blended Blog! 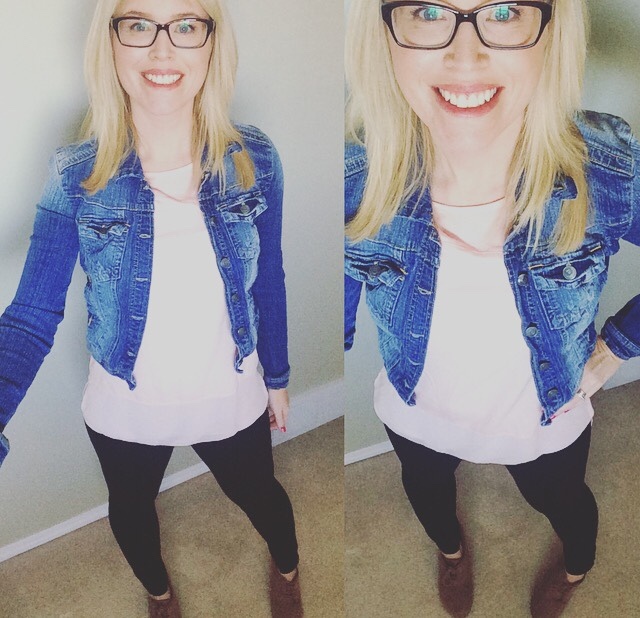 I'll be posting my version of each look on Wednesdays here at Grumbling Grace and even if you're not a social media fanatic, why not post your photo in the comments section? I'd love to see your style. Let's be honest. You can give me some much needed selfie pointers. Ready to get your creative on? Here's a preview of the looks. Get stylin'!